Smart devices let us work anywhere. The cloud keeps information with us wherever we go. And, mobile work policies allow more and more people to choose where they want to work. But, there’s a tension bubbling up within organizations. A recent NPR report says employers are rethinking telework. They want their people to come together to collaborate, innovate, build culture and drive business forward.Organizations such as IBM, Bank of America and Aetna have asked some of their mobile workers to return to the office, according to the Wall Street Journal. Most organizations recognize that innovation and ingenuity stem from teamwork. Collaboration energizes people. By working together, employees come up with new and better ideas and discover how to streamline processes and improve output. A 2017 Gallup report revealed the most engaged employees spend 60 to 80 percent of their time working away from the office. People at work report a lack of collaboration spaces to help them be creative, frequent noise disruptions while working and an inability to effectively communicate creative ideas to coworkers. People are leaving the office because they don’t have the right places to get work done. It is time to redefine what the office means and create workplaces that inspire and that people want to work in. Four key drivers and disrupters are fueling changes within organizations today. Cultural changes can be gradual or abrupt. A few factors are adding to the cultural shift many are witnessing around the world. Diversity – Organizations often have four or five generations working together in one place. In addition, people are connecting with others from around the world more than ever before. People look, sound and work differently creating a rich tapestry of ideas. Biophilia – Humans seek out connections to nature. They are drawn to places with biophilic design elements found to be building blocks of emotional, cognitive and physical wellbeing. Expressions of nature can be overt such as bringing in plants, wood or other natural elements, or they may be more nuanced such as patterns within fabric. 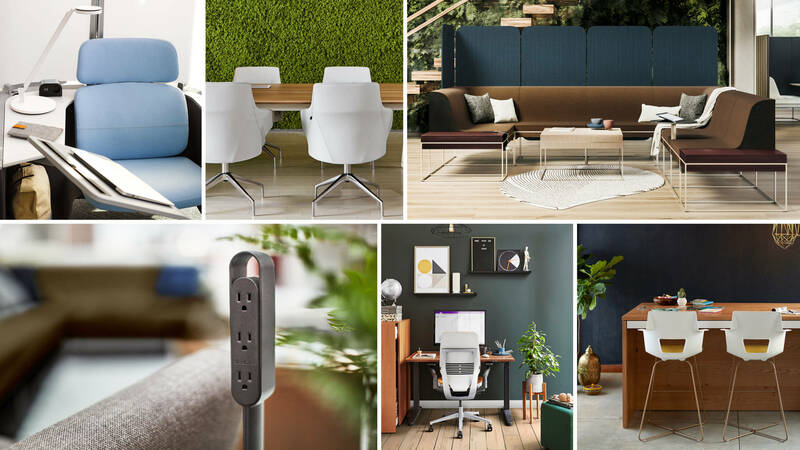 Personalization – The maker movement has had an impact on how people work and connect to the environment. People are increasingly looking for bespoke experiences at work. Organizations that reflect a unique brand and culture are able to express the values that set them apart. Purpose – Whether someone is a baby boomer or a millennial, no one wants to feel like a cog in the wheel. People are looking for more than a paycheck. They want to do work that has a sense of purpose and meaning. Employee engagement continues to be a critical bottom-line business issue for organizations. The Steelcase Global Report: Engagement and the Global Workplace shows one-third of workers in 20 of the world’s most important economies are disengaged. Another one-third are somewhere in the middle, neither hurting their companies nor driving them forward. Research says engaged employees lead to better business results. The Global Report, conducted with global research firm Ipsos, is the first study to look at how the work environment impacts employee engagement. A clear pattern emerged: More highly engaged workers were also more highly satisfied with their workplace. In addition, they had more choice and control over how and where they got their work done. Technology is a game changer, disrupting many business models and driving others to new levels. Laptops, tablets and phones allow us to move fluidly throughout the day. Larger, more fixed devices allow us to visualize an array of information and collaborate with others. Throughout the day, we need to manage how our information and ideas can move with us seamlessly, regardless of the device we are using. In addition, virtual reality, augmented reality and artificial intelligence are all starting to impact people’s experiences at work. There’s a tremendous amount of angst around what will happen as machines are able to do more jobs typically reserved for humans. A common belief is machines will take over rote, process tasks and allow humans to do more meaningful work. We’re already seeing a shift toward creative work. People tend to agree with Brown. Seventy-seven percent say creativity is a critical job skill. Yet, 69 percent say they aren’t living up to their creative potential. At the same time, the majority of leaders don’t feel their company is creative, yet recognize creativity helps them compete, bring in higher revenue and achieve greater market share. To be successful in the future, workers need to generate new ideas, solve tough problems and think outside the box. They need to be creative. 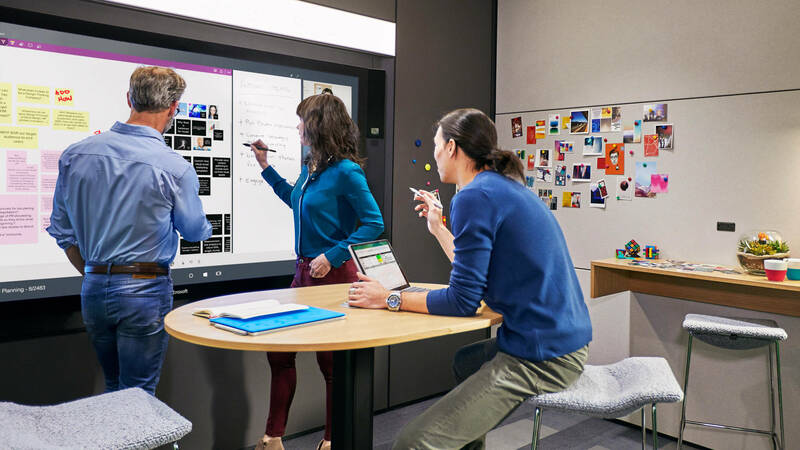 Recently, Steelcase and Microsoft introduced a collection of Creative Spaces designed to enhance the creative process. James LudwigSteelcase Global Design Director. No one space can support the changing ways in which people need to work today. 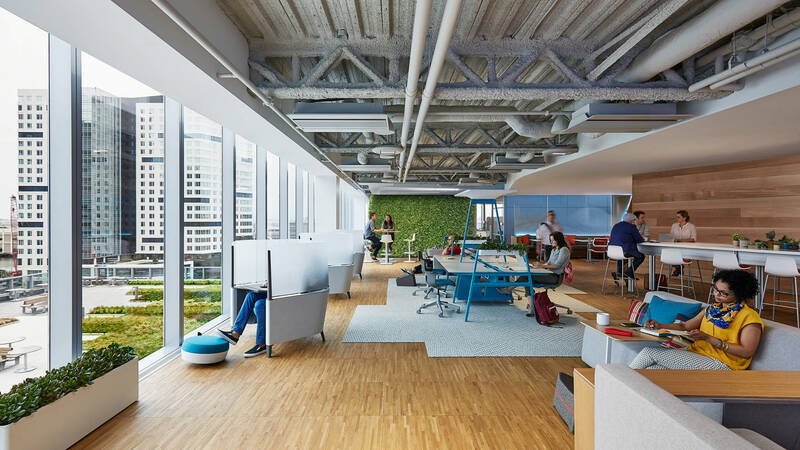 That’s why Steelcase designers recommend an ecosystem of spaces that integrate people, place and technology to support the individual and the organization. People can fluidly shift from one type or work to another based on what they need to get done. We’ve blurred the ways we work and when we work. It’s time to blur the edges of what we’ve traditionally considered the workplace. Spaces that blend design and materiality without compromising performance can inspire new ways of thinking and fueling creativity.